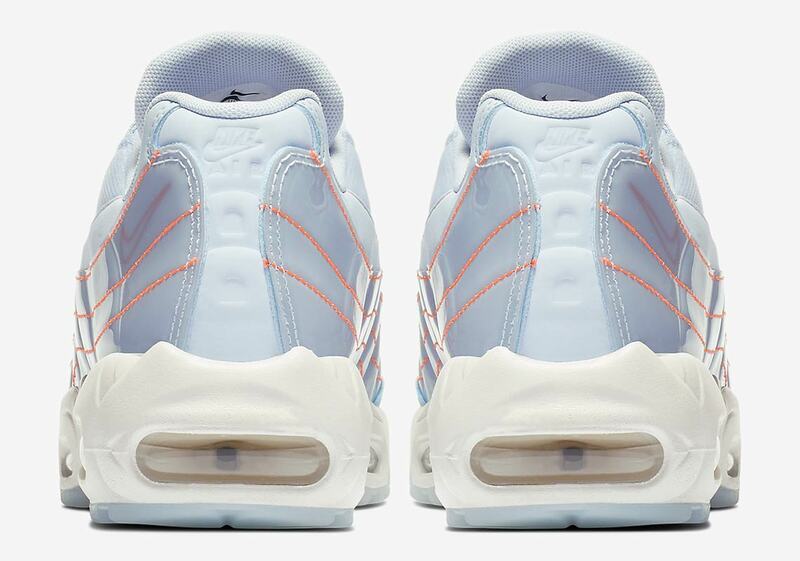 One of Nike’s most innovative heritage Air Maxes, the Sergio Lozano-designed Air Max 95 has always served as a fruitful canvas for experimentation — and for good reason. 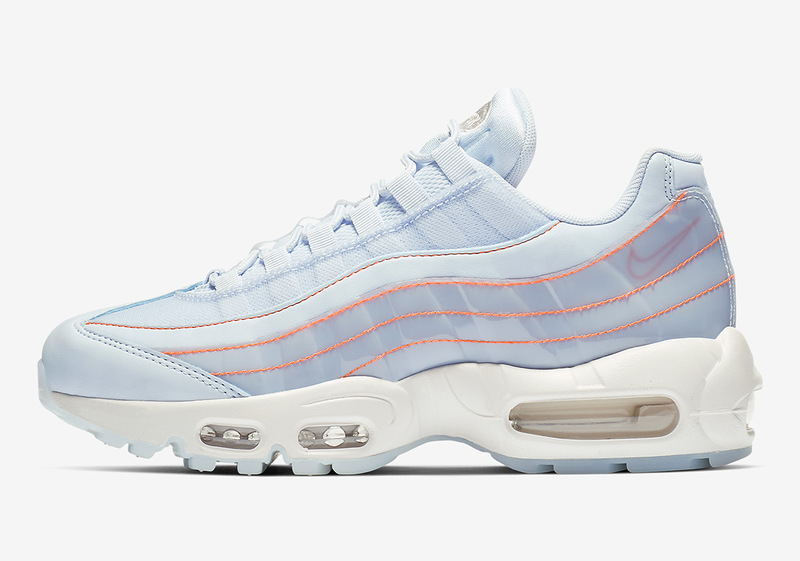 With its anatomy-inspired upper panels, it can take on a myriad of styles/colorways, and the latest pair to arrive is this new “Half Blue” makeup for the ladies. 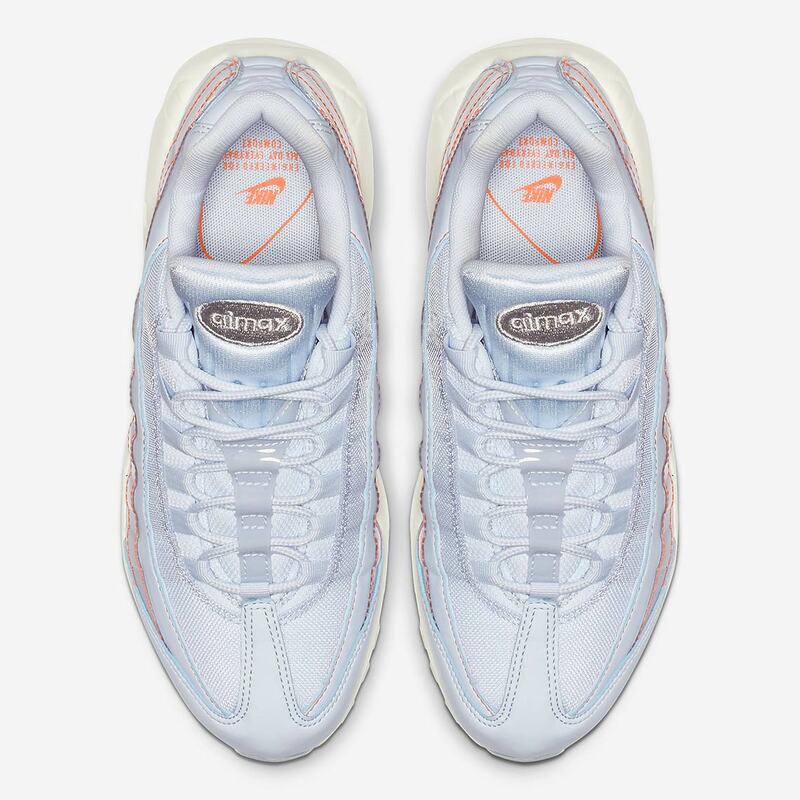 Featuring translucent upper panels contrasted with orange stitching/an underlaid orange Swoosh, this interesting design puts a classically styled spin on see-through uppers popularized by new-age Swoosh Brand releases like the React Element 87 and the Zoom Fly SP. 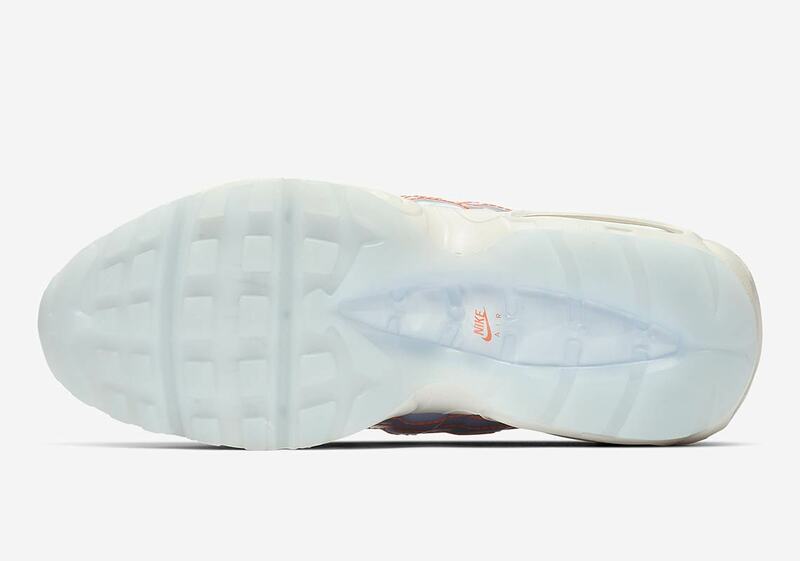 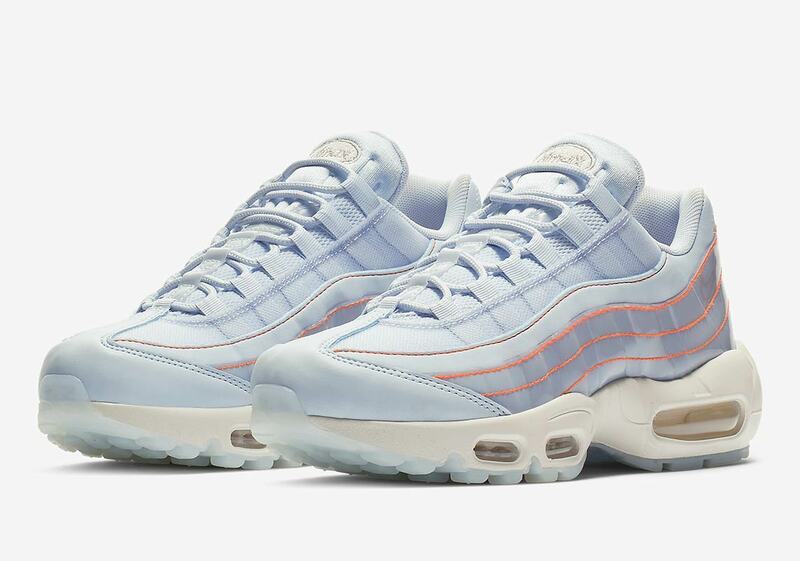 The rest of the upper utilizes the same light blue tones so the orange accents can get as much shine as possible, and a bone midsole,clear Air Max unit, and icy translucent outsole then complete the look. 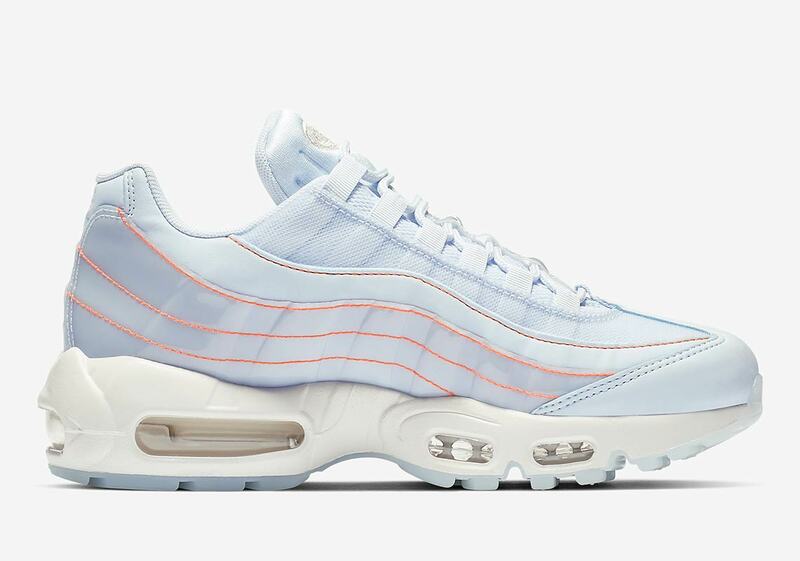 Check out these women’s-only 95s below, and expect a release on Nike.com in the coming weeks.